me it is just not Disney! 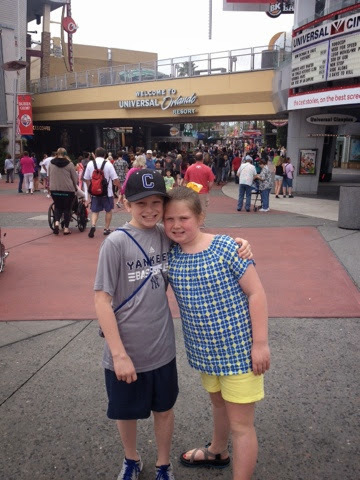 Here we are heading into the park!!! 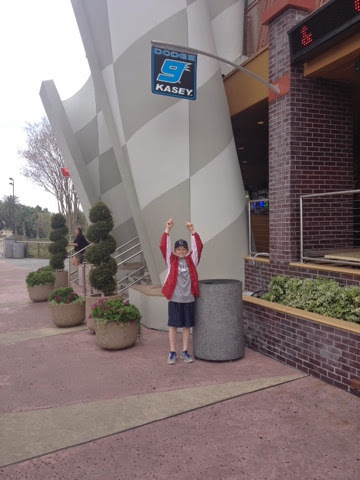 They have a City Walk with tons of restaurants when you walk in; I guess it is there version of Downtown Disney and they had a racing restaurant and JP loves Kasey Kane so he was excited to see his sign. It was suppose to rain that day so we brought our rain jackets just in case but it did not rain a drop. We were so lucky!!! The weather was beautiful! So warm and so nice! 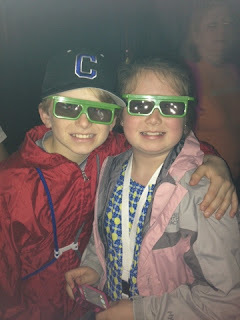 They have lots of show 3D rides... one of the first ones we rode was the Shrek 3D ride. 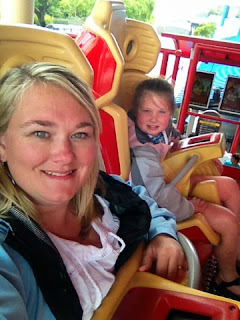 They have some super cool roller coasters... That is one thing I would say if you are planning on going make sure your child is tall enough for the roller coaster or it will be a waste... most of these rides are big ole twisty rollers coasters... I always ride the roller coaster and richard plays in the pool... we have it all worked out like that. 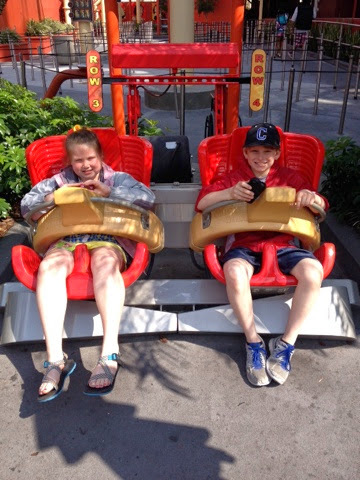 I don't like "hanging out" in pools and he doesn't like roller coaster. :) This was a rockin roller coaster. The had a parade... well their version of a parade... lets just say it was a joke compared to Disney. You know we love a parade and I was disappointed. It had like 5 floats! I did not get that many pictures mainly because it was a lot of rides that were inside and they would not let you take pictures or it was roller coaster and you could not take any picture obliviously. We rode a mummy haunted Egyptian ride. It was fun! 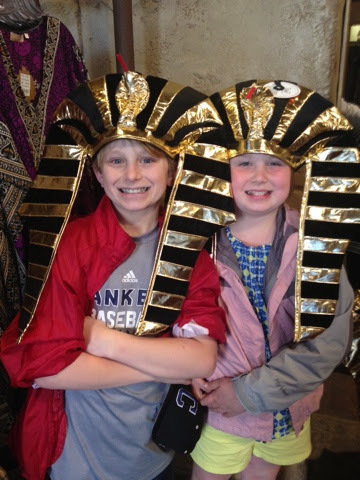 The kids got there crazy light up hats while we were there. I did get a picture of them riding this ride!!! They also don't have many characters... you know we love characters so this was the only one we saw... at least they got Patrick's autograph and their picture with him. Sponge Bob was already gone when we got there. 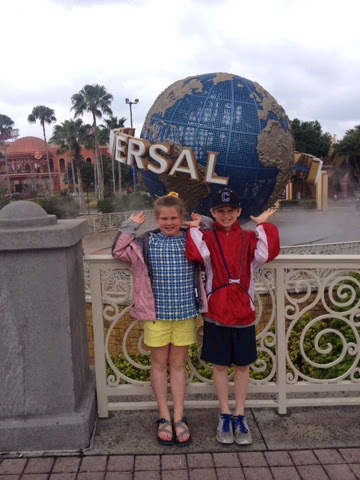 It was a fun day and the kids enjoyed the rides but the lines were forever long most rides and they don't have "Fast Passes" so it was different but we made the best of it. It was a slower pace we did not get there super early and stay super late like we did in the Disney parks so that was nice!